Flo the little Gnome Mage, with the silver punk hair and engineering goggles, takes us on a tour of the Battlegrounds of Azeroth in part 1 of this new series. 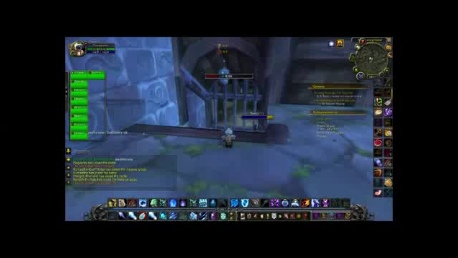 For both beginners and returning players who may have been away from BG PvP in WoW for a while, she gives a Gnome’s-eye view of the action while describing how each BG works, and waxes philosophical on how the metagame (playstyle) has changed in the last couple of years while frozen in an iceblock LOL! A relaxed perspective on PvP, showing you can have fun and get some results too, even as a mid-90’s level with ilvl 600 non-PvP gear. And have some funny moments – this one has the fun Troll on an Iceblock highlight! Part 1 – Warsong Gulch (WSG), the oldest and simplest of the WoW BGs.